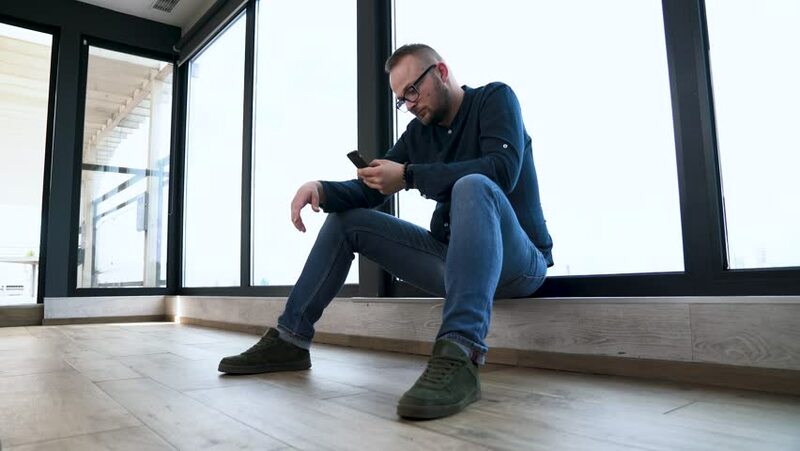 Young man is sitting near panoramic window and flips through the screen on his mobile phone. Sad man. 4k00:08A young, bearded man with glasses. Studio shot of male looks at his phone in amazement. Watches and can not recover. Emotionally reacts to the message.